Otro triunfo para el film de Alexander Payne, que se lleva tres galardones, incluido el de actor. Lo demás es más de lo mismo, salvo por la victoria de Janet McTeer como secundaria por "Albert Noobs", apuntándose su primer tanto en esta carrera de premios, y Woody Allen gana como guionista por "Midnight in Paris". MEJOR DIRECTOR: Martin Scorsese "Hugo". 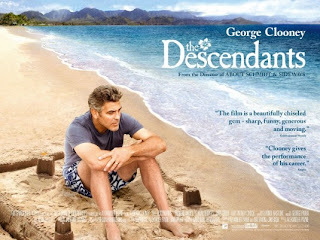 Finalista: Michel Hazanavicius "The Artist"
MEJOR ACTOR: George Clooney "The Descendants". Finalista: Michael Fassbender "Shame"
MEJOR ACTRIZ: Meryl Streep "The Iron Lady". Finalista: Tilda Swinton "We Need to Talk About Kevin"
MEJOR ACTOR SECUNDARIO: Christopher Plummer "Beginners". Finalista: Albert Brooks "Drive"
MEJOR ACTRIZ SECUNDARIA: Janet McTeer "Albert Nobbs". Finalista: Shailene Woodley "The Descendants"
MEJOR REPARTO: "The Help". Finalista: "The Descendants"
MEJOR GUIÓN ORIGINAL: Woody Allen "Midnight in Paris". Finalista: Michel Hazanavicius "The Artist"
MEJOR GUIÓN ADAPTADO: Alexander Payne, Nat Faxon & Jim Rash "The Descendants". Finalista: Steven Zaillian & Aaron Sorkin "Moneyball"
MEJOR DOCUMENTAL: "Project Nim". Finalista: "Tabloid"
MEJOR PELÍCULA EXTRANJERA: "A Separation". Finalista: "La Piel que Habito"
MEJOR PELÍCULA ANIMADA: "Rango". Finalista: "The Adventures of Tintin"
MEJOR FOTOGRAFÍA: Emmanuel Lubezki "The Tree of Life". Finalista: Robert Richardson "Hugo"
GENE WYATT AWARD: "The Help". Finalista: "Undefeated"